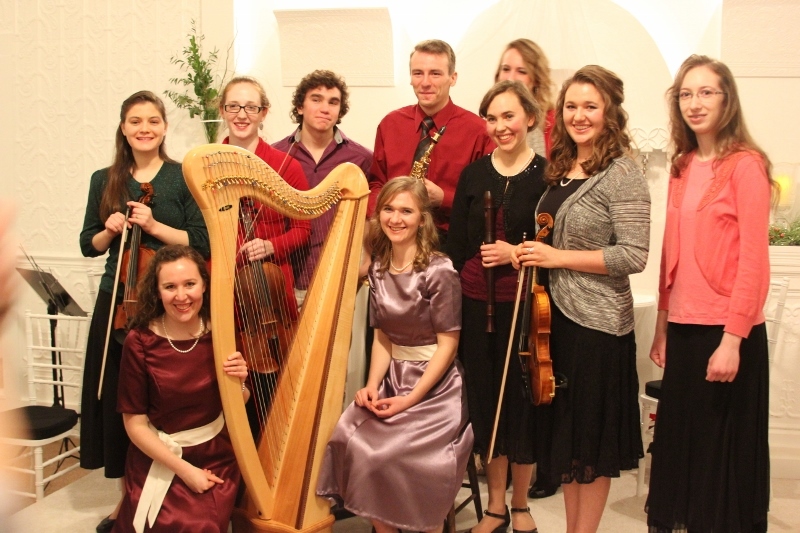 After much preparation, the Celtic Concerto concert was a huge success! 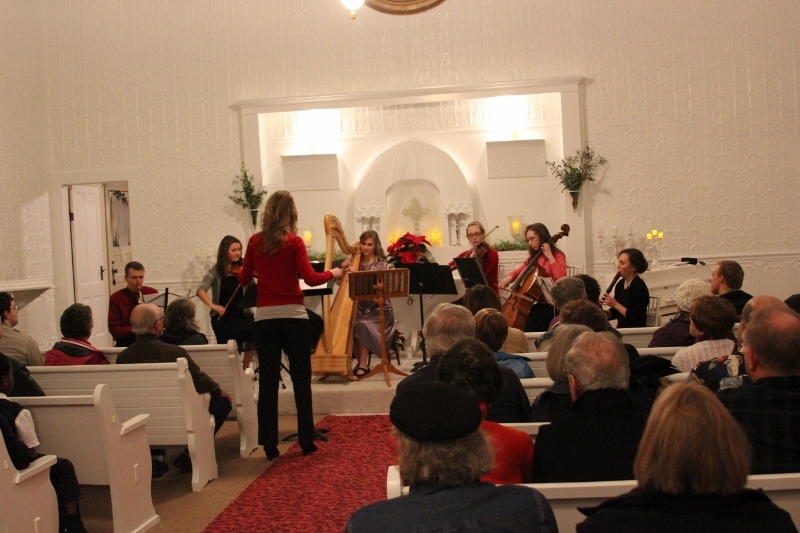 I’m incredibly grateful to each of the fantastic musicians who made the music sound so lovely, and to our wonderful audience who filled the house. Everyone enjoyed the variety of instrumental combinations. 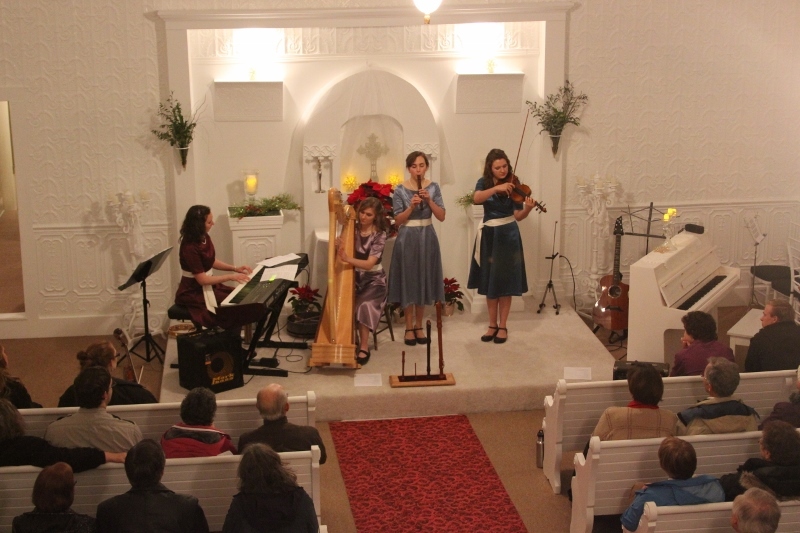 We girls opened the concert with our Celtic Christmas music! 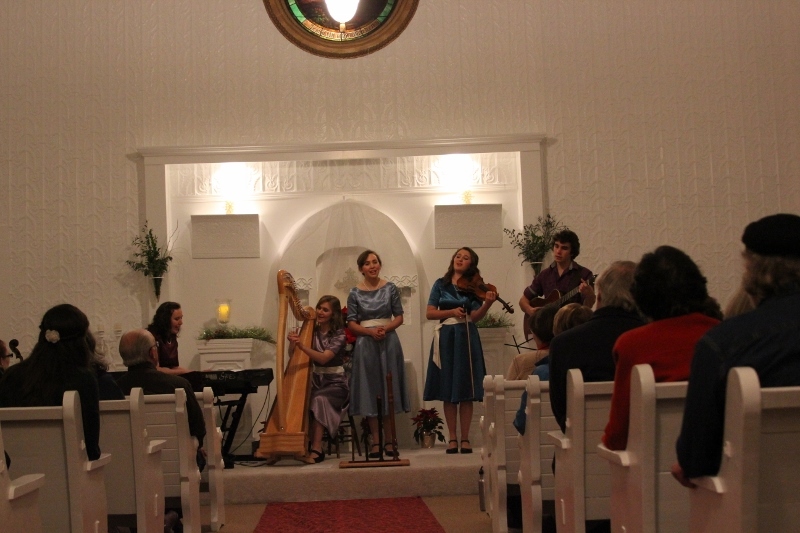 We loved being able to play without a sound system, thanks to the beautiful natural acoustics of the Canby Wedding Chapel. And yes, Noah was a part of the performance! 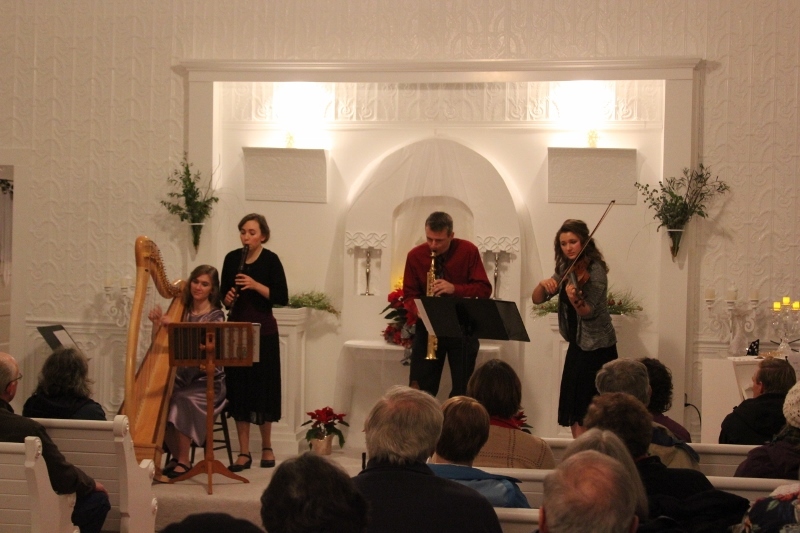 We enjoyed delving into classical music by playing a unique arrangement of several movements from a Corelli Sonata. 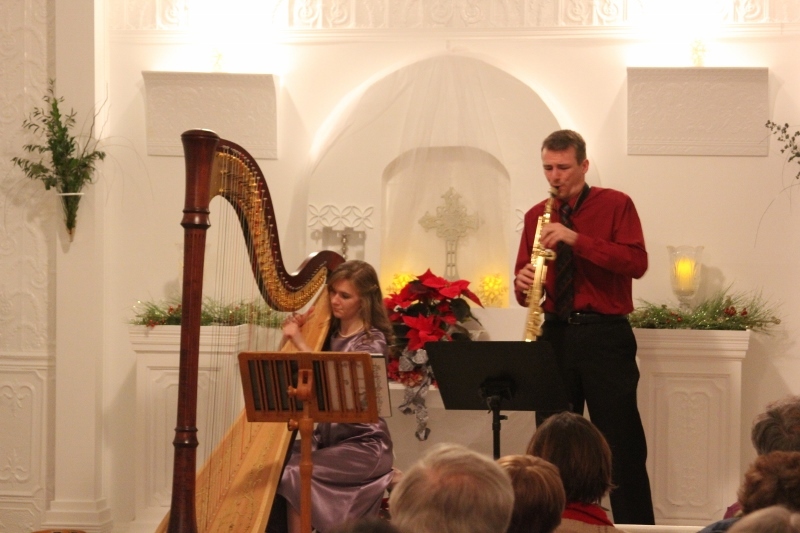 Sarah and Ross played a beautiful arrangement of Silent Night. 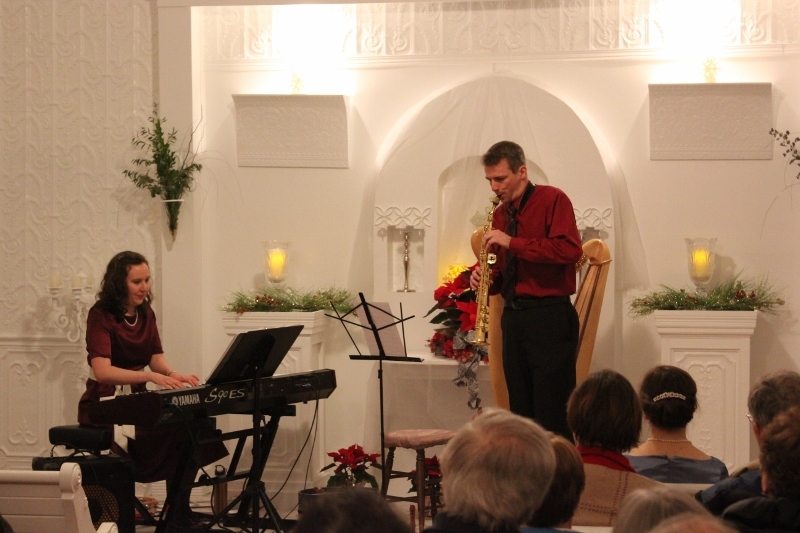 Who would have thought that harp and soprano sax would be a combo – but they were absolutely lovey on Still, Still, Still. 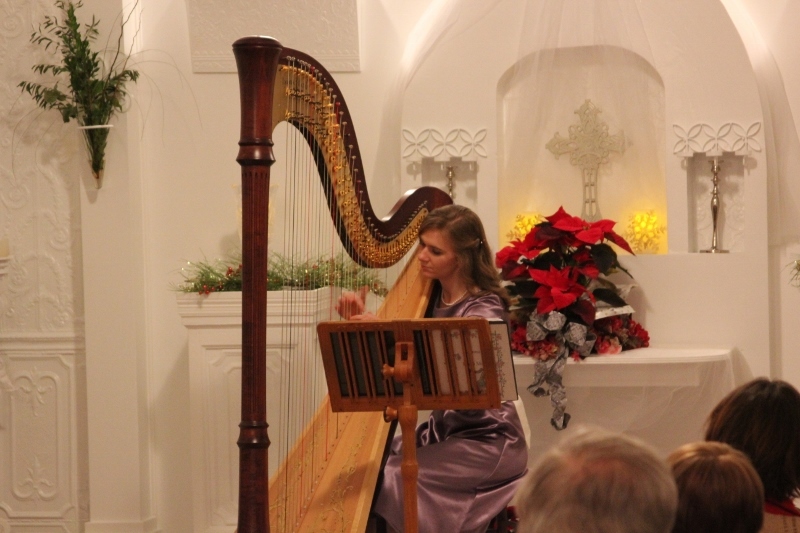 And they managed to convince me to play a pedal harp solo! 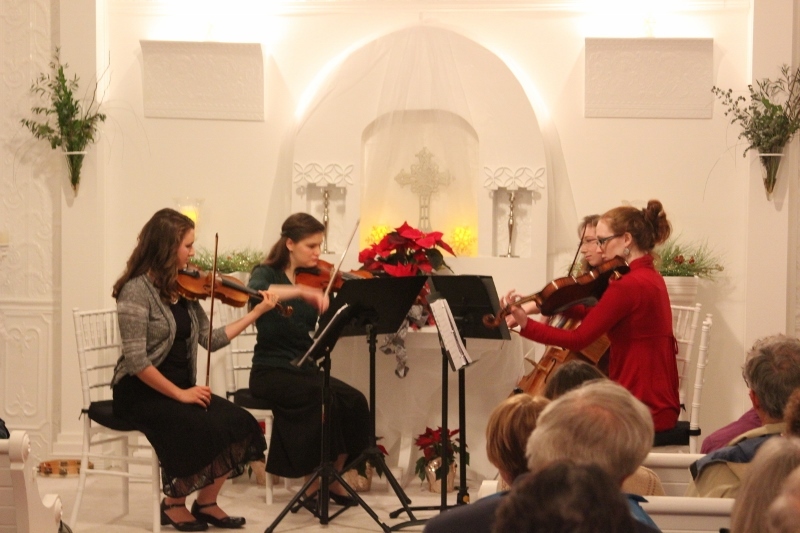 Kathrina, Bethany, Ashley and Maren did a beautiful job with a string quartet medley of Christmas songs. The Concerto! It was so helpful to have Stephanie conduct! 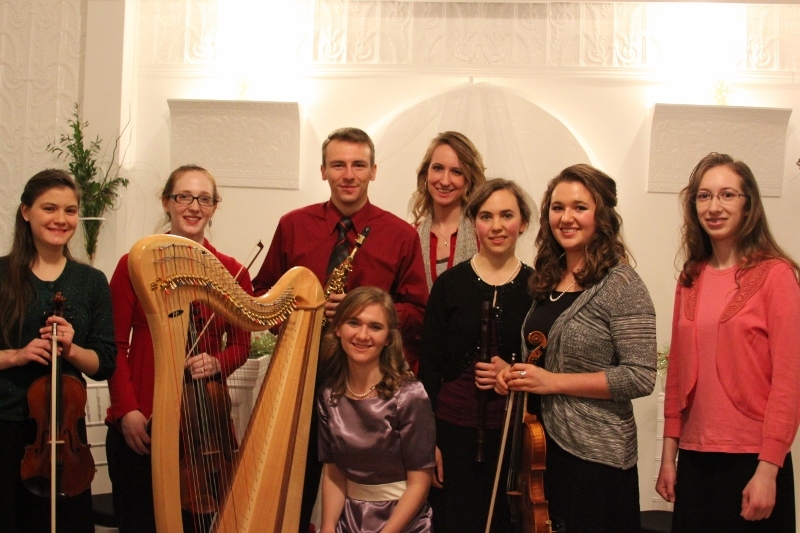 It was a dream come true for me to be able to perform Laura Zaerr’s Celtic Concerto at a Whispering Roses concert! I was so pleased with the group of musicians. 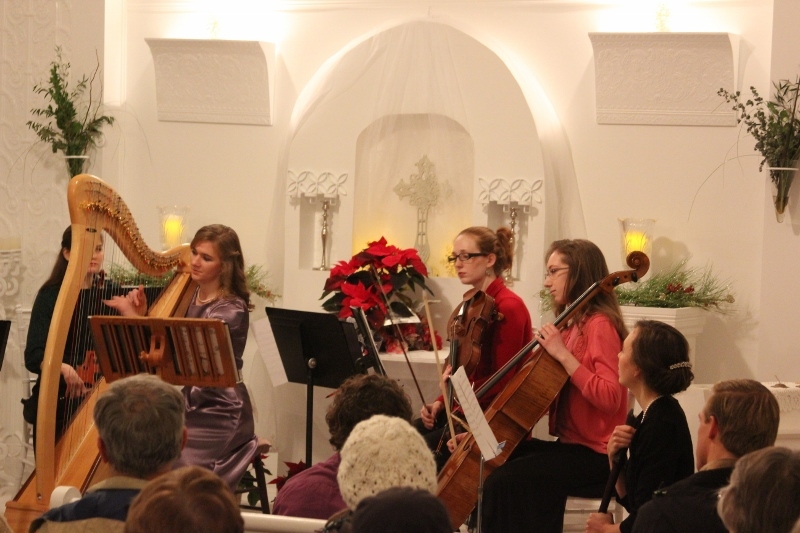 Each person brought excellence to the performance. I’d be delighted to work with them again anytime! This entry was posted in Events, Looking Back and tagged musical adventures, performances, photos, portland weddings by whisperingroses. Bookmark the permalink. Sounds like it was wonderful! Did you get a recording? Someone in the audience did! We hope to be able to post it soon. Excellent, I can’t wait to hear it!